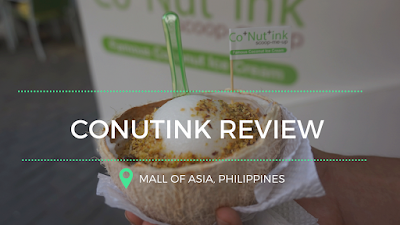 Coconut or buko in Filipino, is a widely used ingredient in Southeast Asia. 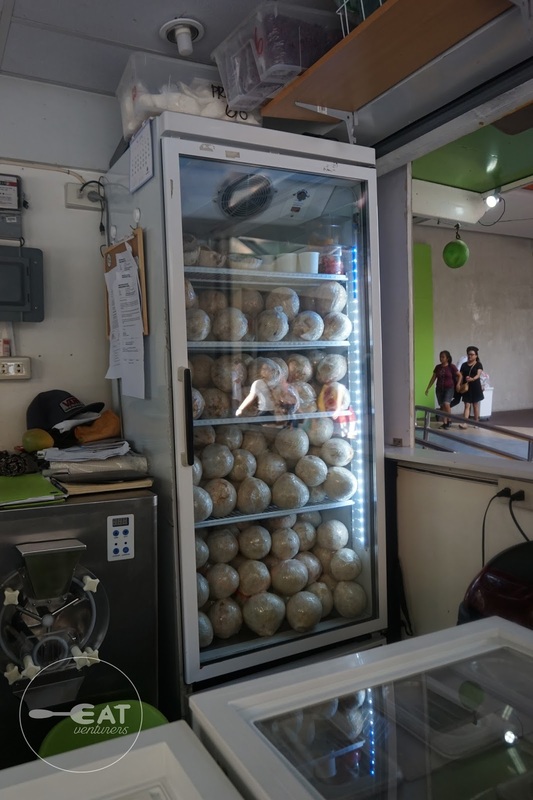 This fruit is popular in Laguna and has been one the most exported products of the Philippines. It is well-loved by foreigners and mostly a best selling drink in the city our beaches, and other tourist destinations, mostly sold in juice form but in this Singaporean-owned, Co+Nut+Ink stall, they sell coconut ice cream. 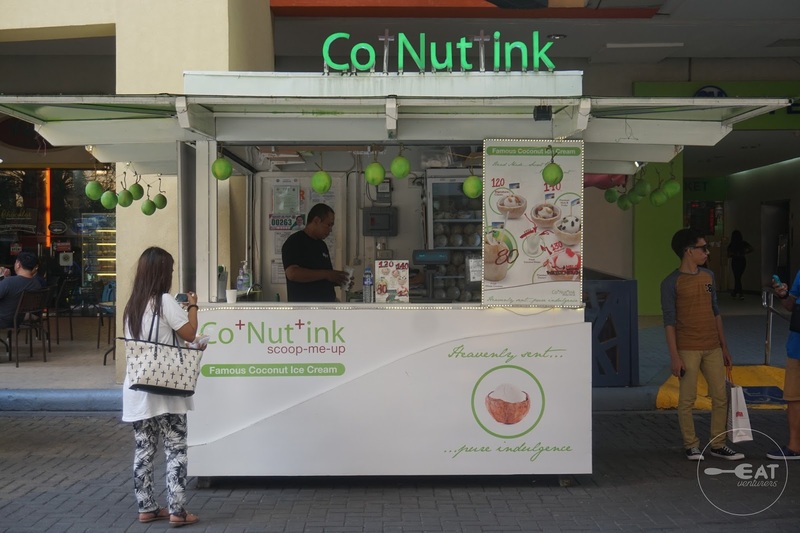 The Eatventurers were very surprised and impressed with the concept of Co+Nut+Ink. The presentation: coconut ice cream with toppings, placed on a coconut shell. If this isn't Instagram worthy, we don't know what is. 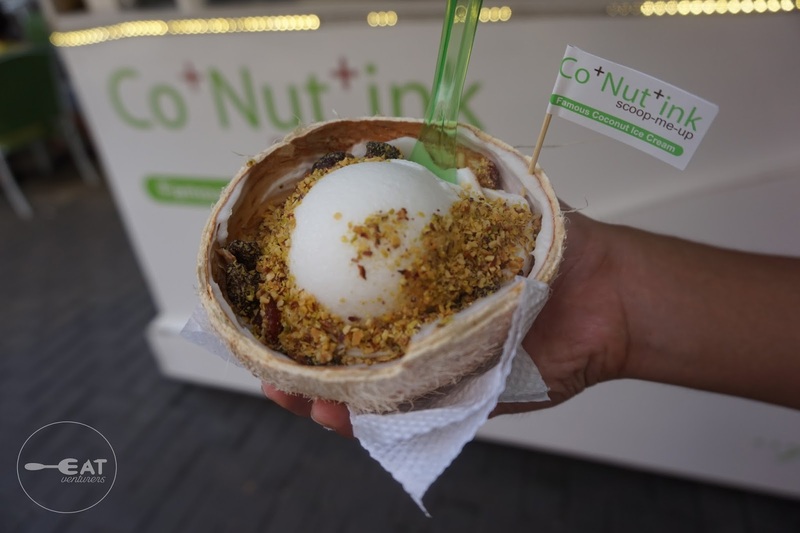 Conutink offers a variety of their ice cream, Signature Classic, comes with roasted nuts (P120); Premium dessert which comes with fruit of either melon or watermelon, (P130); and Premium nuts & fruits (P140). 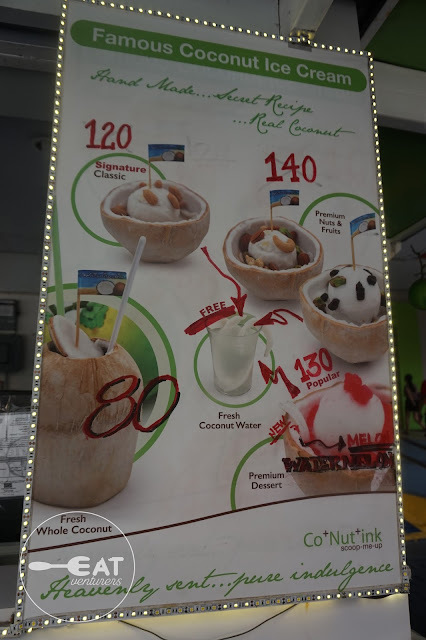 They also offer fresh coconut juice. 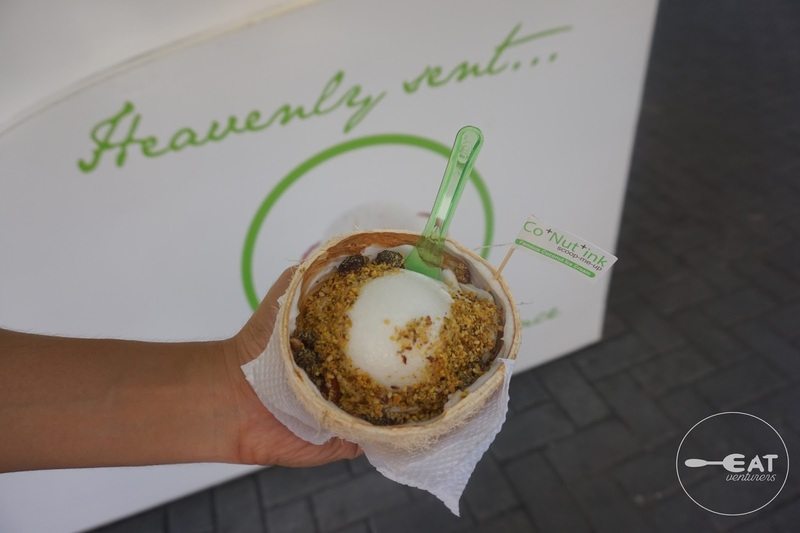 The ice cream is hand made and it uses real coconut making it an authentic coconut ice cream. 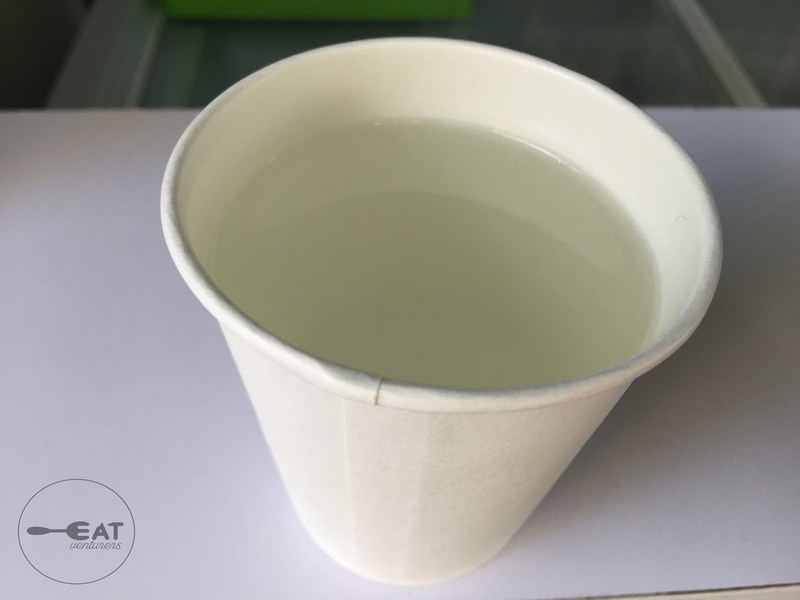 They also used recyclable utensils for their product, environment-friendly and healthy indeed! Both premium products comes with a free cup of fresh coconut juice, where you can place the coconut shell for it to be steady. 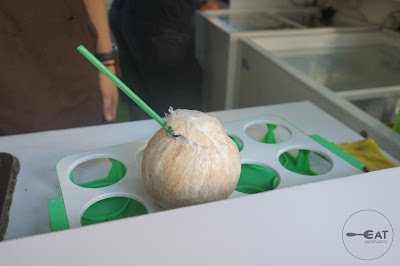 This is the complimentary fresh coconut juice. 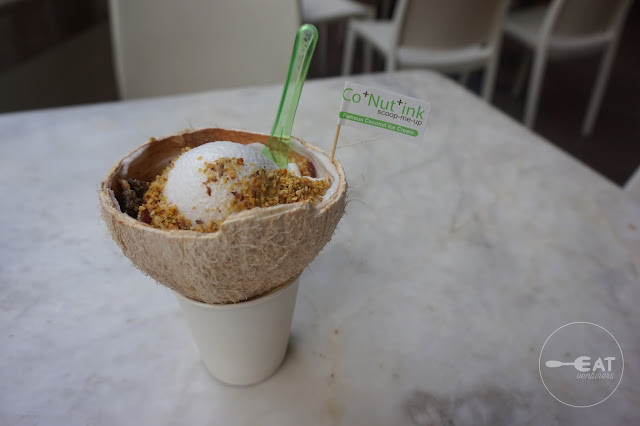 We ordered the Premium Nuts and Fruits, coconut ice cream with mixed nuts and fruit toppings and it was delicious. The taste was very similar to buko shake, but purer and creamier. The toppings added some texture and was a perfect addition to a plain ice cream. 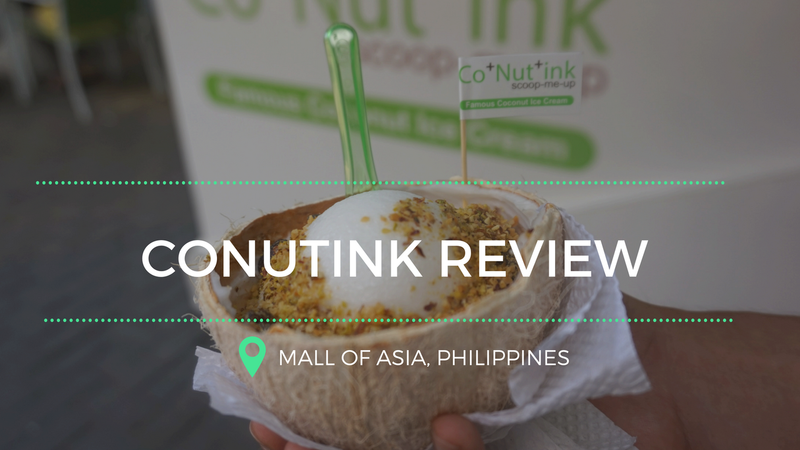 Conutink is a popular dessert in Singapore and it just opened its Mall of Asia branch last December. Its owner Lawrence Tang said they are branching out in the Philippines and Dubai mostly near beach areas for tourists, so watch out for that. ***Disclosure: Ice cream was complimentary.